1. “Eco-friendly management of red spider mite, Tetranychus macfarlanei using entomopathogenic fungus, Beauveria bassiana”. (Principal Investigator: Dr. M.S. Ullah, Duration: July 2015 to June 2016, Funded by University Grants Commission, Bangladesh). 2. “Development of Integrated Mosquito Management Strategy for Mymensingh District”. (Co-investigator: Dr. M.S. Ullah, Duration: July 2014 to June 2017, Funded by Ministry of Education, Government of Bangladesh). 3. “Sustainable management of major lepidopteran vegetable pests through ecosmart new biorational molecules (Co-investigator: Dr. M.S. Ullah, Duration: July 2014 to June 2016, Funded by BAS-USDA). 4. “Life table parameters and functional response of a predator, Neoseiulus longispinosus on different spider mites”. (Principal Investigator: Dr. M.S. Ullah, Duration: July 2013 to June 2014, Funded by University Grants Commission, Bangladesh). 5. “Temperature dependent development and life history traits of Oligonychus biharensis (Hirst) (Acari: Tetranychidae)”. (Principal Investigator: Dr. M.S. Ullah, Duration: July 2012 to June 2013, Funded by University Grants Commission, Bangladesh). 6. “Integrated management of the rice pest brown planthopper, Nilaparvata lugens (Stal.) with emphasis to the utilization of indigenous natural enemies”. (Project leader: Prof. Dr. Mahbuba Jahan, Position held: Research Fellow, Duration: June 2002-June 2003, Funded by: Ministry of National Science and Information and Communication Technology, MOSICT). 7. “Bio-ecology and Management of Guava Whitefly, Aleurodicus dispersus Russel”. 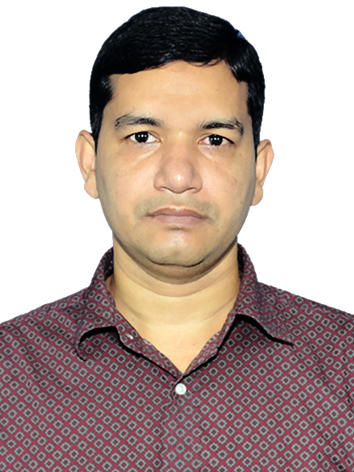 (Project leader: Prof. Dr. Khandakar Shariful Islam, Position held: Research Assistant, Duration: July 2003-June 2004, Funded by: Ministry of National Science and Information and Communication Technology, MOSICT). 8. “Integrated Management of Brown Planthopper, Nilaparvata lugens (Stal) with emphasis to augmentation and conservation of natural enemy”. (Project leader: Dr. Mahbuba Jahan, Position held: Research Associate, Duration: Sep 2007-Sep 2008, Funded by: Bangladesh Agricultural University Research System, BAURES). 29. Islam MK, Akhteruzzaman M and Ullah MS (2013) Effect of poultry manure and inorganic fertilizer on the productivity of cotton. Journal of Agroforestry and Environment. 7: 31-36. 30. Ullah MS, Das G and Islam KS (2008) Biology and host suitability of cucurbit fruit fly, Bactrocera cucurbitae (Coq. ): a comparative study on five different cucurbit species. Journal of Agroforestry and Environment. 2: 183-186. 31. Khan MK, Islam KS, Jahan M and Ullah MS (2007) Efficacy of chemical and mechanical control approaches in managing mango hopper, Amritodus atkinsoni. Journal of the Bangladesh Agricultural University. 5: 245-249. 32. Alam MM, Jahan M, Islam KS and Ullah MS (2007) Biology of red mite, Tertranychus bioculatus (Wood-mason) infesting marigold and its control using three acaricides. Bangladesh Journal of Entomology. 17: 41-47. 33. Biswas SK, Jahan M, Islam KS and Ullah MS (2007) Effectiveness of different tactics in controlling cucurbit fruit fly, Bactrocera cucurbitae. Bangladesh Journal of Agricultural Science. 34: 135-140. 34. Nath AR, Sharmin D and Ullah MS (2007) Occurrence and control of European foul brood (EFB) disease and predatory wasp (Vespa orientalis F.). Bangladesh Journal of Crop Science. 18: 55-62. 35. Hasnat AMMS, Reza SN, Ullah MS and Ahmad M (2007) Efficacy of two plant extracts on rice weevil, Sitophilus oryzae L. Journal of Agroforestry and Environment. 1: 127- 132. 36. Ullah MS (2007) Toxicity and repellency of different indigenous plants against red flour beetle (Tribolium castaneum HBST.). Bangladesh Journal of progressive Science and Technology. 5: 273-276. 37. Faruque MG, Reza SN, Ullah MS and Ahmad M (2007) Evaluation of Morphological and Biochemical characters for the Resistance of Several Country Bean Genotypes against Bean Aphid, (Aphis craccivora Koch.). Bangladesh Journal of Progressive Science and Technology. 5:245-248. 38. Mostofa MG, Ullah MS and Ahmad M (2006) Abundance of citrus aphids, Toxoptera citricida and Toxoptera aurantii and their associated ants in different citrus varieties. Bangladesh Journal of Entomology. 16:49-56. 39. Khan MLH, Ullah MS and Jahan M (2006) Comparative effectiveness of insecticides, neem oil and hand picking in controlling cutworm, Agrotis ipsilon (Hufnagel). Bangladesh Journal of progressive Science and Technology. 4: 37-40. 40. Bhuyain MMH, Ullah MS, Husain M and Shahjahan M (2005) Screening of mutants of jute, Corchorus capsularis for resistance to jute hairy caterpillar, Spilarctia obliqua. Bangladesh Journal of progressive Science and Technology. 3: 41-44. 41. Hossain MS, Ahmad M, Haque MA and Ullah MS (2005) Interaction of mustard aphid, Lipaphis erysimi Kalt. with different colour traps and prevailing environment. Bangladesh Journal of Environment Science. 11: 33-37. 42. Jahan M and Ullah MS (2004) Effect of two chemical control approaches on brown planthoppers, Nilaparvata lugens (Stal.) and its predatory spider in rice field. 2004. Bangladesh Journal of Entomology. 14: 69-78. 43. Hasan KS, Islam KS, Jahan M and Ullah MS (2004) Incidence of mango hopper Amritodus atkinsoni (Lth.) and its relation with weather parameters. Journal of Asiatic Society of Bangladesh, Science. 30: 57-62. 44. Ullah MS, Jahan M, Hasan KS, Rahman MS and Husain M (2003) Impact of schedule, need based chemical control and natural biological approaches on the population of Cyrtorhinus lividipennis Reuter predator for rice brown planthopper. Bangladesh Journal of Environmental Science. 9:62-64. 1. Tetsuo Gotoh, Mohammad Shaef Ullah, Hanawa Masami, Yano Suichi, 'Displacement of a phytoseiid predator, Neoseiulus womersleyi, by another phytoseiid predator, N. californicus (Acari: Phytoseiidae)', XV International Congress of Acarology at the Swandor Hotels Topkapı Palace in Antalya, Turkey from 2 - 8 September, 2018. 2. Mohammad Shaef Ullah, 'Changes in the amplitude of temperature affect the biological parameters of Tetranychus macfarlanei and Oligonychus biharensis' , XV International Congress of Acarology at the Swandor Hotels Topkapı Palace in Antalya, Turkey from 2 - 8 September, 2018. 3. Mohammad Shaef Ullah, Un Taek Lim, 'Compatibility of Beauveria bassiana and Phytoseiulus persimilis against Tetranychus urticae on potted bean plants', XV International Congress of Acarology at the Swandor Hotels Topkapı Palace in Antalya, Turkey from 2 - 8 September, 2018. 4. Mohammad Shaef Ullah, Tetsuo Gotoh, 'Composition of spider mite species (Acari: Trombidiformes) in Bangladesh" XVI AZRA International Conference on "Applied Zoological Research for Sustainable Agriculture and Food Security", Banaras Hindu University, Varanasi -221005, UP, India 9-11 February, 2018. 5. Mohammad Shaef Ullah, Reo Sugawara, Tetsuo Gotoh, "Temperature-mediated functional response of Neoseiulus womersleyi and N. longispinosus (Acri: Phytoseiidae) to Tetranychus urticae (Acari: Tetranychidae)", IOBC meeting of the working group ‘Integrated Control of Plant-Feeding Mites’. Chania, Greece, September 2017. 6. Mohammad Shaef Ullah, Tetsuo Gotoh, “Host-dependent life table parameters of Neoseiulus womersleyi (Schicha) (Acari: Phytoseiidae)”, 26thannual conference of the Acarological Society of Japan, Sapporo, Hokkaido, Japan, October 2016. 7. Mohammad Shaef Ullah, Un Taek Lim, “Life-history parameters of Frankliniella occidentalis at constant and fluctuating temperatures”, 20thannual conference of the Korean Society of Applied Entomology, April 22-24, 2015. 8. Mohammad Shaef Ullah, Un Taek Lim, “Pathogenicity of the entomopathogenic fungus, Beauveria bassiana on two spotted spider mite Tetranychus urticae (Acari: Tetranychidae) at various regimes of humidity”, 14th International Congress of Acarology in Kyoto, Japan, July 2014. 9. Mohammad Shaef Ullah, Un Taek Lim, “Life history traits of Tetranychus piercei, T. truncatus, and T. bambusae (Acari: Tetranychidae) collected from Bangladesh”, 19th annual conference of the Korean Society of Applied Entomology, April 2014. 10. Mohammad Shaef Ullah, Un Taek Lim, “Within-greenhouse and -plant distribution of greenhouse whitefly in strawberry”, 19th annual conference of the Korean Society of Applied Entomology, October 16-17, 2014. 11. Mohammad Shaef Ullah, Mohammad Ahsanul Haque, Yasuki Kitashima, Tetsuo Gotoh, “Developmental performance of Tetranychus macfarlanei at various temperatures”, 55th Annual conference of the Japanese Society of Applied Entomology and Zoology, Fukuoka, March 2011. 12. Mohammad Shaef Ullah, Daisuke Moriya, Yasuki Kitashima, Tetsuo Gotoh, “Demographic parameters of Tetranychus kanzawai (Acari: Tetranychidae) at different temperatures”, 54th Annual conference of the Japanese Society of Applied Entomology and Zoology, Chiba, March 2010. 13. Mohammad Ahsanul Haque, Yasuki Kitashima, Mohammad Shaef Ullah, Tetsuo Gotoh, “Preliminary survey of spider mite fauna in Bangladesh”, 54th Annual conference of the Japanese Society of Applied Entomology and Zoology, Chiba, March 2010. 14. Mohammad Shaef Ullah, Tetsuo Gotoh, “Temperature-dependent development and life table parameters of Tetranychus macfarlanei (Acari: Tetranychidae)”, 19th annual conference of the Acarological Society of Japan, Miyagi, September 2010. 15. Mohammad Shaef Ullah, Tetsuo Gotoh, “Systematic relationship between Tetranychus merganser and T. kanzawai: Molecular, cross-breeding and ecological approach”, Special seminar presentation in Kasetsart University, Thailand, October 2010. 16. Mohammad Shaef Ullah, Daisuke Moriya, Yasuki Kitashima, Tetsuo Gotoh, “Influence of temperatures on life-history traits of Tetranychus kanzawai (Acari: Tetranychidae)”, 18th annual conference of the Acarological Society of Japan, Ibaraki, September 2009. 17. Daisuke Moriya, Mohammad Shaef Ullah, Yasuki Kitashima, Tetsuo Gotoh “Reproductivity and susceptibility of T. hydrangeae (Acari: Tetranychidae)”, 18th annual conference of the Acarological Society of Japan, Ibaraki, September 2009. 1. Attended the International Organization of Biological Control (IOBC) meeting of the working group ‘Integrated Control of Plant-Feeding Mites’. Chania, Greece, September 2017. 3. Attended 26th Annual Conference of the Acarological Society of Japan, Sapporo, Hokkaido, Japan, October 2016. 4. Attended 20th Annual Conference of the Korean Society of Applied Entomology, Lissom Spa Castle, April 22-24, 2015. 5. Attended 19th Annual Conference of the Korean Society of Applied Entomology, Kangwon-do, Phoenix Park Resort, October 16-17, 2014. 6. Attended 14th International Congress of Acarology in Kyoto, Japan, July 2014. 7. Attended 19th Annual Conference of the Korean Society of Applied Entomology, April 2014. 8. Attended Workshop on “Fostering women voices through videos in Bangladesh” organized by Department of Agricultural Extension Education dated 25 April 2013 in Bangladesh Agricultural University. 10. Attended 1st International Symposium on “Jackfruit and other Moraceae” organized by Bangladesh Entomological Society dated on 14 July 2012 in Department of Zoology, Rajshahi University. 11. Attended a general meeting on “Emerging directions of jute gene technology” organized Asiatic Society of Bangladesh dated on 23 October 2012. 12. Attended Conference on “Integrating GM crops with sustainable production systems” organized by International service for the acquisition of Agri-biotech application dated on 7th March 2012. 13. Attended 55th Annual Conference of the Japanese Society of Applied Entomology and Zoology, Fukuoka, March 2011. 14. Attended 19th Annual Conference of the Acarological Society of Japan, Miyagi, September 2010. 15. Attended 54th Annual conference of the Japanese Society of Applied Entomology and Zoology, Chiba, March 2010. 16. Attended a special seminar presentation in Kasetsart University, Thailand, October 2010. 17. Attended18th Annual Conference of the Acarological Society of Japan, Ibaraki, September 2009.